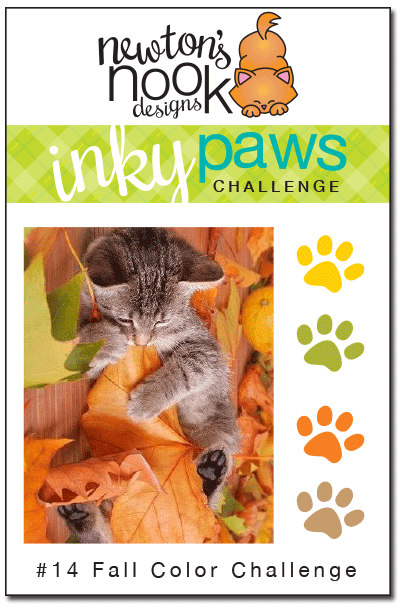 Inky Paws Fall Color Challenge Winners! Thanks so much to everyone who entered our last Inky Paws Challenge at here at the Newton's Nook Designs blog! This months theme was a fun Fall Color Challenge! We had so much fun checking out all the entries! Everyone did such a AMAZING job - it's always so hard to narrow it down to the winners! Great job & thanks to everyone who played along! This cutie by Joyce really caught our eye! 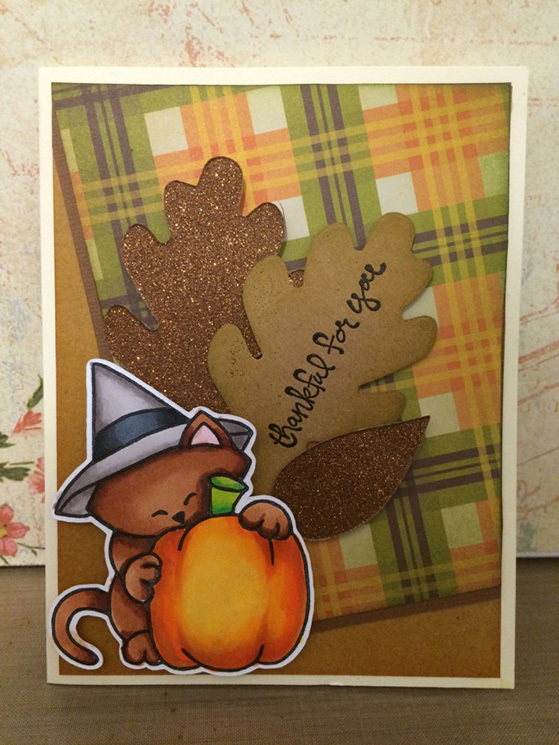 We loved the fall plaid paper with the sparkly leaves behind the kitty from our Newtons Perfect Pumpkin set! 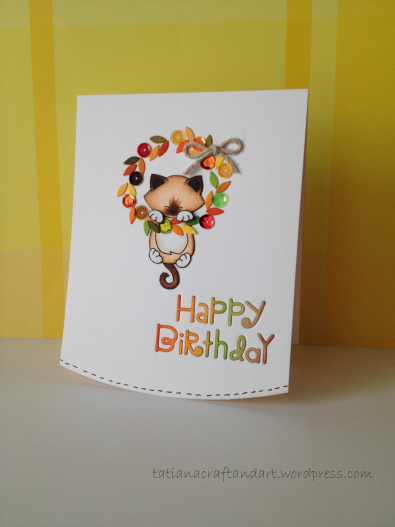 This card by Emily was our other top pick! 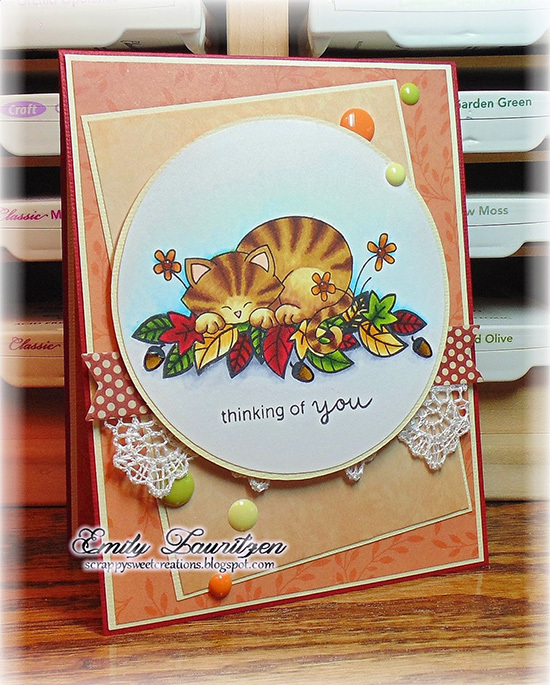 We love how she took the summer kitty from our Newton's Daydream set and made this fun fall card! It has beautiful coloring too! Congrats to Emily and Joyce!! Don't forget to send us an e-mail at info@newtonsnookdesigns.com to claim your $10 store credit and get your winner badge for your blog! 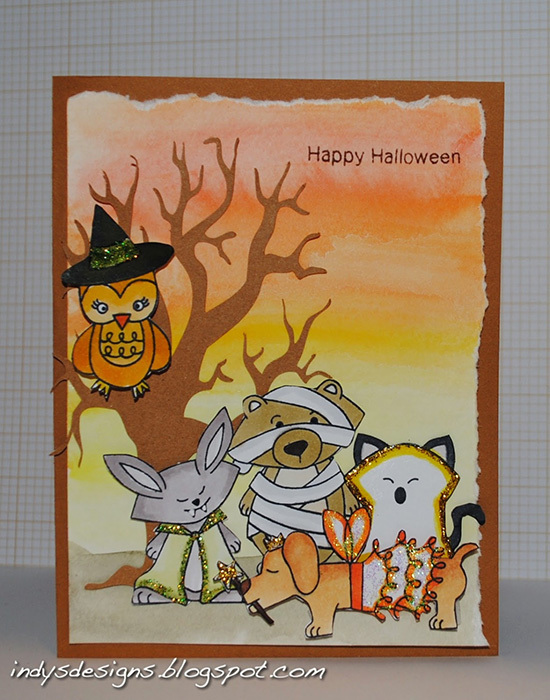 We just loved seeing all our pals from the Boo Crew Set on this card by Indy - looks like they're ready to go trick-or-treating! We loved the fall wreath made of sequins on this card by Tatiana! Plus the coloring on that kitty from our Newton's Holiday Mischief set is so pretty! One more Fav - this cutie is by Zoey and the Furballs! We loved the Fall scene and the great use of Fall papers too! She also used our Newtons Perfect Pumpkin set! Thanks again to everyone who entered - It's really so much fun to look through all the entries and see everyones ideas! If you didn't win this time we hope you'll try again next month. The new challenge will be posted on Friday, October 24.